Bali Round Trip 6 Days / 5 Nights is exciting packages to see places of interest in bali which offer best site and nice panorama to make a short visit memorable. 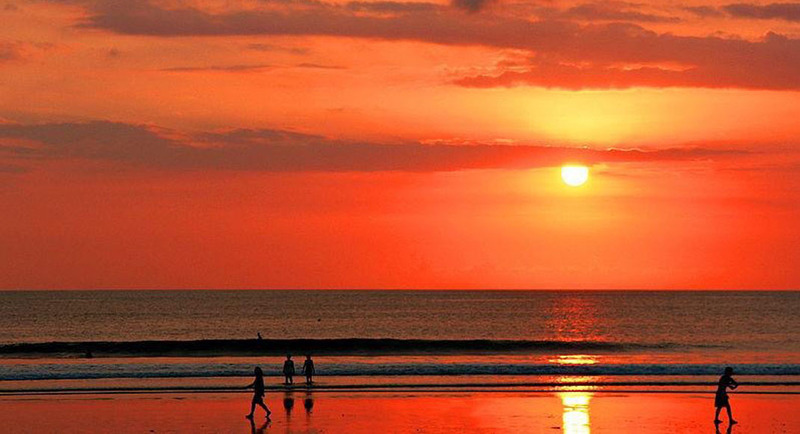 The trip is designed to give travelers insight to what tours, activities and services are available in Bali. A varied cross-section of activities have been compiled to appeal to guests with an adventurous streak suit as well as those who just want to sit back, relax and take in the sights. The tour will be very comfortable with our private air-conditioning car transfer and to keep your convenience and enjoyable journey our professional tour driver is always outstanding offer his best service with the information you need. Upon arrival at Bali Airport, meeting service with our Guide, then transfer to Hotel in sanur area. After breakfast and depart from the hotel at 08.30 a.m. on the way to the east of Bali, we will visit batubulan village to see Barong Dance. Then visit Celuk Village to see silver artworks, Kerta Gosa the ancient justice palace, Goa Lawah the bats cave temple, After having lunch at local restaurant we continue our tour to Tenganan village where the original Balinese lives (this village is wellknow for its traditional tissues called gringsing). Overnight at hotel in Candidasa. After breakfast and depart from the hotel at 08.30 a.m. toward to the north of Bali. We will visit Besakih the biggest temple in Bali, then visit volcano and lake batur in Kintamani where we can have our lunch while seeing the magnificent panorama. After lunch proceed to Beji Temple in Singaraja the former capital of Bali, Then we go to Lovina for overnight. Early morning at 05.30 AM we will pick you up at your hotel for morning dolphin tour in Lovina beach (85% possibility to see the dolphin). After watching the dolphin and have your Breakfast at the hotel we will visit Buddha Temple the biggest temple in Bali and Banjar Hot Spring. Back to hotel and free leisure on the beach. After breakfast and depart from the hotel at 08.30 a.m. we will start the tour to south of bali, we will visit Gitgit Waterfall, Ulun Danu Temple and Candikuning Fruit market which sell various of flowers, fruits, vegetable, spices in Bedugul. Lunch will be serve at local restaurant. After lunch we will visit Taman Ayun Temple in mengwi and monkey forest in Alas Kedaton and the last visit is Tanah Lot Temple. Overnight at hotel in Kuta area. Breakfast at hotel and free leisure then transfer to the airport for departure.